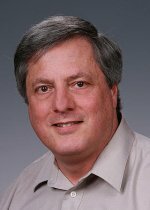 Dr. John Feo has been selected to be the director of the Center for Adaptive Computing Software (CASS-MT) at PNNL. The newly established center is exploring next-generation multithreaded architectures for high-performance graph analytics for knowledge discovery applications. Feo, who joins the Lab on March 16, comes from the Microsoft Corporation where he led the Application Framework Group in the Parallel Computing Platform Division. The division is responsible for defining and developing Microsoft's computing platform for many core processors. Feo was responsible for technical direction, identifying and communicating requirements, and choosing the best partners to work with. He also participated in several company-wide strategic initiatives on parallel computing. Prior to Microsoft, Feo held leadership positions at Cray, Inc. and Sun Microsystems. Feo has a Ph.D. in Computer Science from the University of Texas, Austin, and a Masters in Astronomy. John Johnson has been selected to lead business development for technical computing for national security applications and will lead one of the new tasks in CASS-MT. Johnson has leadership experience in high performance computing and was a research program manager and group leader with the Center for Applied Scientific Computing (CASC) at Lawrence Livermore National Laboratory (LLNL). Johnson's focus at LLNL was on developing research programs to bring the Lab's high performance computing expertise to bear on national security problems in the data sciences. In this role, he worked with leaders of the defense community, academia, and industry to design and launch innovative programs demonstrating the profound power that scalable, high performance computing brings to this new class of problems. Johnson earned a Masters in Computer Science from Johns Hopkins University and is currently working on his doctorate in Computer Science from the University of Chicago.